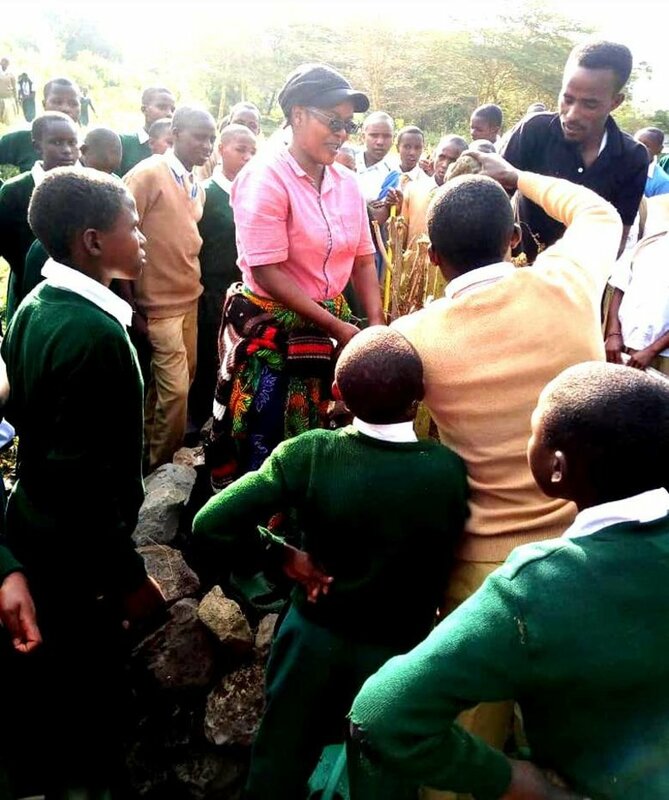 Students and teachers from various schools are beneficiaries of the ECHO training through the Finnish-funded PITA project say that the project teaches them about sustainable integrated agriculture. In Meru district where this project is offered, farmers grow bananas and coffee in the highlands, and maize and beans in the lowlands. Many are also involved in small commercial horticulture. They mainly depend on surplus for cash but primarily focus on food crops, growing vegetables for many years for different purposes, especially those areas with good water sources which enable them to water their vegetables even during the dry season. In the past the population was low and there was plenty of land. Now many lack adequate land or water, and self-reliant vegetable production is no longer so easy; many people have sold their land or inherited very small parcels, causing them to be discouraged from gardening. An increase of crop pests, higher costs of inputs, and a mentality that farming is not for aspiring youth has hindered youth engagement in home production of vegetables. In recent years many families struggle with malnutrition in the area. The PITA project has enabled ECHO to reach a wide audience, facilitating sharing of different techniques of establishing home gardens and school gardens which are fun. Targeting students and teachers, participants are encouraged to share their knowledge with their families back home and use the techniques to produce more vegetables for their school feeding programs. Through the process of learning, students and teachers have shared how their view have changed on the importance of knowing various types of gardening technologies. This knowledge can help in solving problems which exist in their communities. Gardens introduced include sack garden, key hole gardens and double dug beds, perennial vegetables, and conservation agriculture in the different schools. A mindset change is occurring as students and teachers learn practices of growing vegetables. Students and teachers have thanked the PITA project coordinators for bringing such a different kind of training in , their district, and thanks also to ECHO staff for facilitating and empowering them to learn new techniques of farming.